How do you get customers to spend more? Supply them with bigger baskets. Customers tend to pile items into their basket until it's full – making it easier for them to spend more money in-store. Larger shopping baskets encourage customers to purchase, because if the customer can fit more things into their basket, they will. Our 16 inch round mesh basket allows customers to literally 'fill their baskets'. Bigger than an average sized basket, our customisable 16 inch net shopping basket is the perfect solution if you want to encourage your customers to add those extra items into their basket before they reach the till point. Our UK manufactured 16 inch round netting shopping baskets come in and range of different colours and textures and are a brilliant space saver when stacked one on top of the other. Priced at a competitive rate, our collapsible retail shopping baskets can even be customised to match your brand colours. If you are looking for reusable shopping bags custom made then you have visited the right website. We can produce wholesale mesh bags, whether you want to change the texture, colour, size or get these branded, personalised with a logo, we can do all of this! If you can't find the product you're looking for, please get in touch and we can discuss our customisation options - call us today on: 01489 808007. 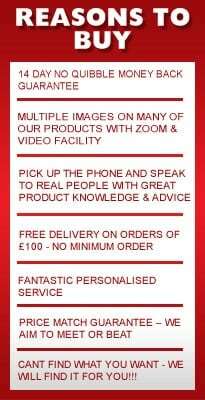 We offer FREE UK delivery on any order over the value of £100.00 and offer massive savings when you purchase in large quantities. Buy wholesale reusable bags from Valentino's Displays today!